Mia was struggling with self-esteem in her new job having had her confidence knocked in her previous company. She felt intimidated by both colleagues and managers and wasn’t able to assert herself or deliver to her own high standards. Relationships with her colleagues are now greatly improved and she’s had really positive feedback from her boss. 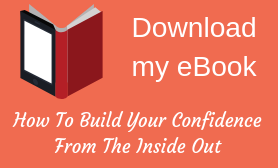 Hi Jo, I want to say thank you for your support in improving my confidence at work, with techniques to deal with situations where I let my self-doubts get the better of me. In the short time working with you I’ve learnt how to speak out in group meetings, get my point across so I’m heard and how to react to different personality types. I’ve noticed real results with the techniques you gave me and I’m well on my journey to becoming more assertive. I look forward to working with you again in the near future. Louise had returned to work after a 10-year career break to look after her children. As a professional she had kept her knowledge up to date but returning part time she felt out of place in the office and unsure of her abilities. Despite her experience she compared herself negatively to colleagues and her new boss and felt unable to contribute in team meetings. Jo supported me when I struggled on returning to work. Her calm and supportive coaching style created a safe place where I could share my deep self-doubts and learn not to take everything personally. She has a knack of asking the right question at the right time and I really felt my confidence growing during and as a result of our sessions. Susan was in a very low place as the things she wanted to achieve in life weren’t happening and she was stuck not knowing how to move forward and where to start. As you can read in her testimonial, everything has changed now. I wanted to mention a special life coach I worked with in the UK at a very challenging and life changing time in my life when I felt very alone and confused. She helped me break down all of my frustrations worries and decisions and help me understand who I really was. I am now in a position where every thing we spoke about in my life plan is all starting to fall in to place with little stress and a bit of luck, but I know deep down it was all the tools Jo gave me to manage my expectations. I can’t recommend her enough and she’s an inspiration to all women. Sarah had always felt ‘invisible’ in life and unable to fit in at school or in groups. Her creative career was now taking off and she wanted to be able to ‘put herself out there’ and feel confident about talking to people without constantly doubting herself and her image. Jo has an impeccable talent for “aha!” moments. Each time I got off the phone with her, I had to just sit back and absorb the awesome breakthroughs we had. I’m a big fan, and I can’t recommend her enough. Emma has struggled with anxiety and mild depression for years. Accepting this was part of her and that she did have some control along with coping strategies has enabled her to feel positive about life again. Despite previous support I still suffered with anxiety and depression. Jo helped me understand that I had a choice to control my feelings and not let them control me. I’m now much more positive and relaxed and trust myself.